I always find that holiday parties involve, among other things, a lot of toasts. And although you can certainly toast someone with a scotch on the rocks (I have an uncle who’d sooner drink pond water than give up his Glenlivet), the classic choice is always champagne or sparkling wine. So this year I suggest you raise a glass to Seve Ballesteros, the legendary shotmaker who retired in July, and fill your flute glass with Castillo Perelada Brut Reserva cava in honor of his Spanish heritage. 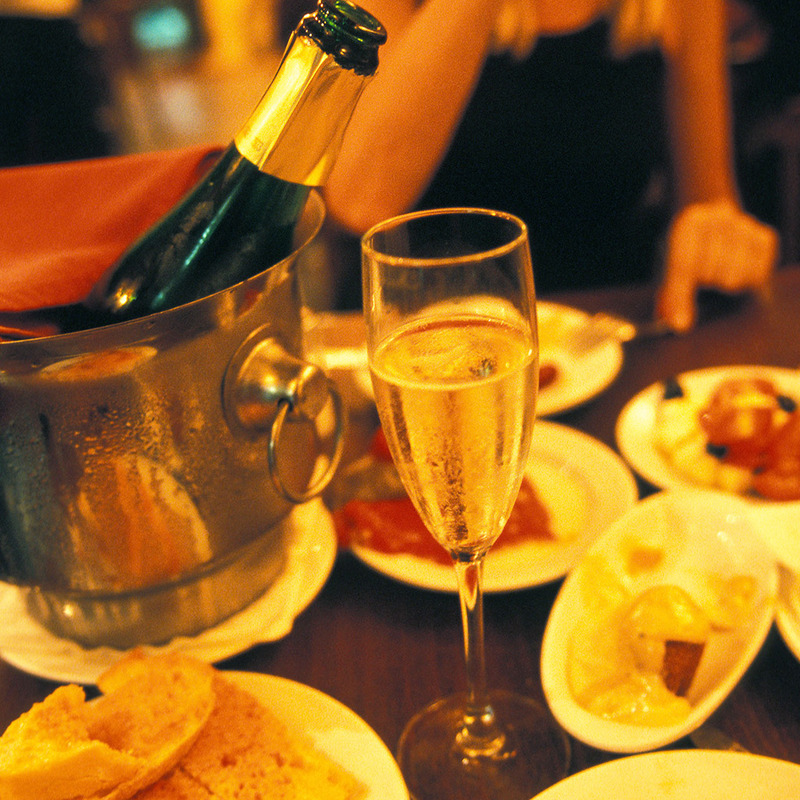 Cava is made exactly the same way as champagne (the French got huffy and asked the European Union to stop letting people use the term "champagne"; now it must be designated a "sparkling wine" made with the méthode champenoise), but it includes different grapes, such as xarel-lo, parellada and macabeo. These give cava a somewhat earthier and more citrusy character than traditional champagne-no less delicious, just a slight spin on the familiar. And, again in a nod to Ballesteros’s imagination (the man sealed a British Open win in 1979 with a shot from a parking lot), the one I recommend is a bright, crisply intense Brut Reserva-terrific wine that costs about twelve dollars. The village of Peralada (which uses the Catalan spelling, unlike the winery) is also famous for its golf resort. In the heart of Spain’s Costa Brava region, the five-star Hotel Golf Peralada (golfperalada.com), owned by luxury giant Grup Peralada, has a stunning course, with olive trees lining the fairways. And because man cannot live by golf alone, Peralada also owns one of Spain’s most elegant casinos. In a fourteenth-century castle a short drive away, it too is a fine place to raise a glass of cava.